If there’s one event Aussie It-girls are well versed in when it comes to fashion and style, it’s the Spring Racing Carnival. So to make sure you are well prepared for the racing season, the Nirvana Beauty Babes put together a list of beauty tips to help you look your very best for one of the biggest events on the social calendar. We all know that a day on the track means dressing up and wearing over the top accessories but your outfit wouldn’t be complete without glowing, radiant skin to compliment the spring season. A Coolifting treatment is the perfect way to prep for this special event. The Coolift treatment literally takes 4 minutes and requires absolutely no downtime whatsoever. Coolifting minimises wrinkles, improves skin tone and gives skin an immediate plumped up effect, which makes it the ideal treatment for an event like this. Once you’ve decided on the perfect outfit the next important aspect of getting ready for a day at the races is your makeup. But in order for your makeup application to look flawless it is important to have a healthy and smooth base to work from. Opt for a microdermabrasion treatment to help remove dead skin cells, unblock pores and your makeup will go on smooth and silky. Last but definitely not least is perfecting that pout. 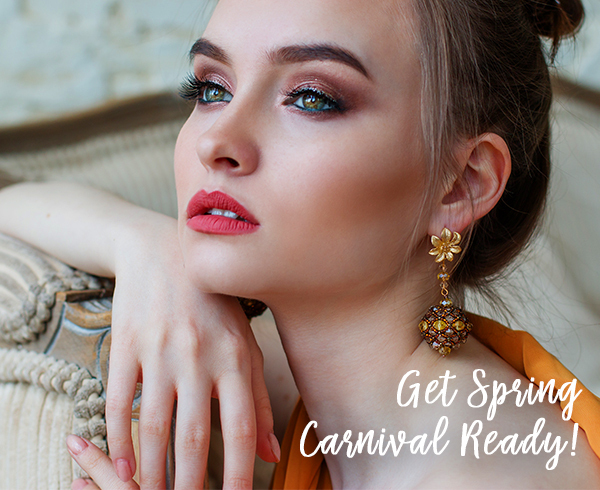 We all love to take selfies at the Spring Racing Carnival and we know that what makes a great selfie is a full, plump and perfect pout.Be sure to book in early with our super popular cosmetic injector so all you’ll need to worry about is what colour lipstick to wear!